O-103 R5- is below, O-103a R5- is at bottom. Both die states are likely more scarce than a 5-, but combined to equal a 5-. There appear to be a total pop of 5 problem free MS examples, with MS62 being finest. The later die state appears to be the rarer of the two states. 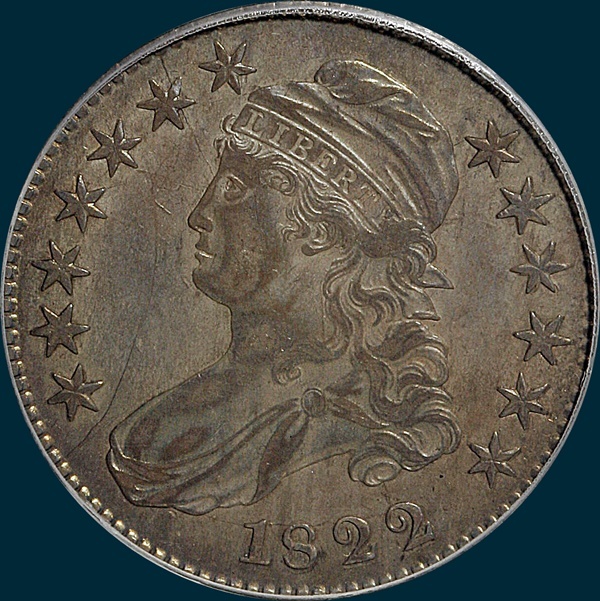 Variety Attribution O-103: Obverse-Star 10 is recut at three lower points. Date is 9 mm. and higher than most in this year. O-103a: Straight die crack from edge through upper points of star 6 to bridge of nose. Another crack joins top of date to drapery and star 13. 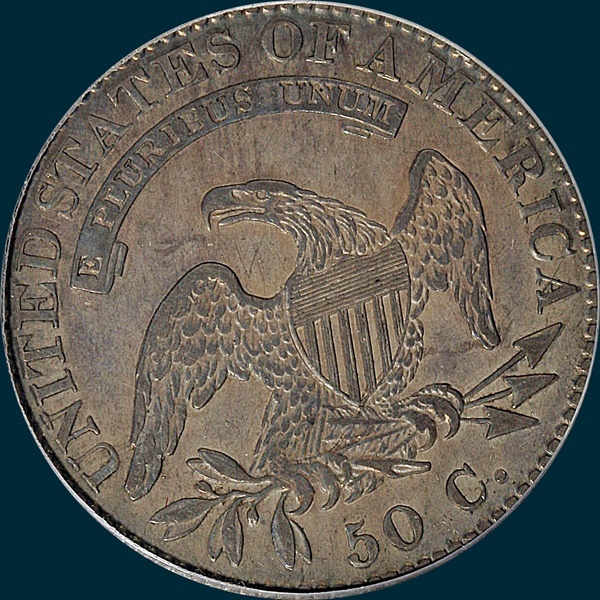 Reverse- 50C is 1 3/4 mm. Arrow to A is 3/4 mm. eft sides of D-E and right sides of T-I in line. Large center dot between lines 4 and 5.